After a long, cold winter, gardening season has officially arrived in Kansas! There is much to do to prepare the landscape and garden for the coming growing season, including soil and plant preparation, planting, amending and mulching; all of which should promote health, higher yields and valuable ecosystem services. While this is not an exhaustive list of outdoor April duties, these are some key activities that come to mind as we get back into the soil. Spring is a good time to apply organic fertilizers. Organic fertilizers feed the soil that then feeds the plants. We’re actually feeding microscopic soil organisms. These tiny wonders digest the fertilizer, then release nutrients (plant fertilizers) that feed the plants. The entire process produces humus, a material that improves soil structure. Our goal is to foster beneficial life in the soil, enabling better water holding capacity, air movement and available nutrients for plants. Synthetic fertilizers inhibit these natural processes. We are direct seeding peas, beets, radish, broccoli, cauliflower, spinach, kale, arugula, and chard. If you haven’t already, get your onions, onion sets and potatoes in the soil now. Start by loosening up your soil and amending with compost and minerals. Provided the late freezes didn’t get your spring blooms, thin peach fruit to five inches apart, plums to four inches apart, apples and pears to one per cluster. April and May are good months to divide and transplant landscape plantings. If transplanting existing plantings, try to do this before new growth begins. Move or split crowded perennials like coneflower, mums, catmint, and daisies. Apply a natural-organic fertilizer to the lawn and landscape plantings. Apply horticultural molasses to the soil to stimulate microbial activity. Molasses is a carbohydrate used as a soil amendment to feed and stimulate microorganisms. It contains sulfur, potash and many trace minerals. This quick source of energy is also great for the compost pile. For cool season Spring flowers, apply earthworm castings, bat guano or alfalfa meal. Treat chlorotic plants with greensand or apply it as a general soil amendment to provide a slow release of potash and phosphate which does not burn plants. The additional minerals provided by greensand also improve the moisture holding properties of soil. To control soil dwelling and wood boring insects, apply beneficial nematodes to the garden and landscape. Nematodes are already present in soil, we're simply increasing the populations of the good guys. BN help control over 230 kinds of pest insects such as, white grubs, flea larvae, fungus gnat larvae, cut worm, wire worm, and Japanese beetle larvae. This safe and simple application is a must for any good pest management plan. If necessary, prune ornamental landscape trees to remove dead or diseased wood. It’s also a good time to look for any crossing limbs; pick one and remove the other. Remove winter damage in shrubs to prepare them for a flush of Spring growth. Prune spring blooming shrubs immediately after bloom. Turn your compost pile regularly and apply water as needed. The compost pile should remain roughly as moist as a squeezed-out sponge. I agree, the best mulch is recycled plant material; leaves, twigs, spent plants, buds, bark, flowers and other plant debris that grew on your property. Organic debris shouldn't leave your property. It should be used as mulch or composted on-site. When considering mulch, think about what makes up the forest floor. Without a doubt, local, shredded native tree trimmings are best. A mix of both soft and hardwoods, including green leaf debris is a fantastic mulch choice that's breaks down beautifully and greatly improves your soil. Grade A, Shredded, Cedar Bark Mulch is a popular choice for those who also value the aesthetic appearance of mulch in the landscape. This fragrant mulch is long-lasting, durable and provides a good protective ground cover without needing frequent replacement. The dark brown color of this mulch highlights landscape plants beautifully, but beware, fresh cedar mulch uses the soil’s nitrogen as it decomposes, making that nitrogen unavailable for the plants it is protecting. 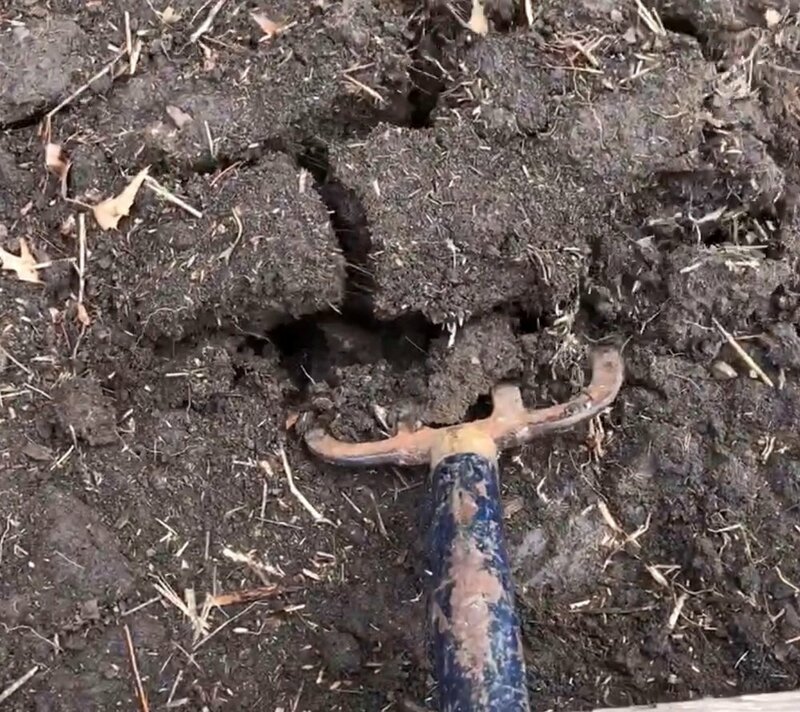 This nitrogen issue affects only the soil in direct contact with the mulch and will not affect the plants as long as the mulch is not mixed into the soil. To avoid possible nitrogen depletion, apply Organic fertilizers to plants mulched with cedar. Never use colored or dyed mulch. The product(s) they use to color the wood stains drives, walks and your skin; it bleaches away quickly and often contains fungicides and algaecides to slow the decay and make the color last longer. It's a terrible choice for an organic program. Find great Organic lawn and garden products by visiting us at Old Town Farmers' Market each weekend or learn more about services here.